Why does Hugo require access to my calendar? When you create a Hugo account, the first thing you will notice is that access to your calendar is required before you can progress. 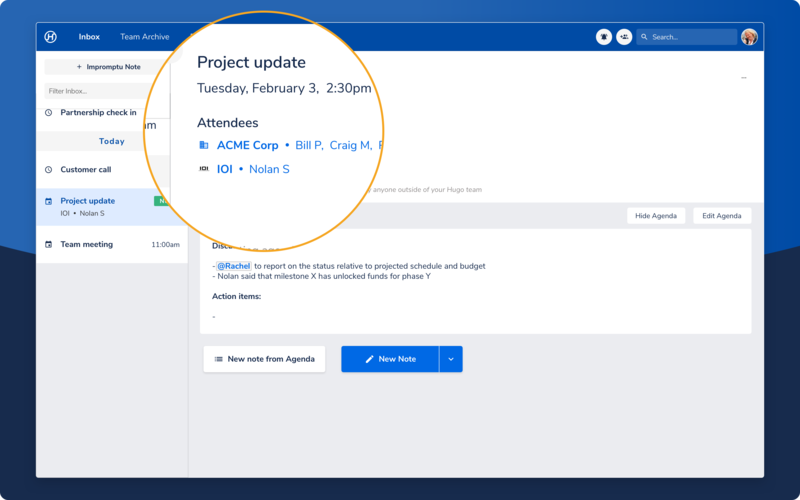 When Hugo loads meetings from your calendar, it also identifies the attendees and organizes them according to their companies.